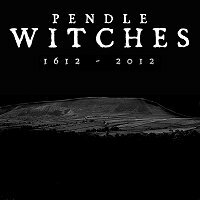 Call For Pendle Witch Museum: Calls have been made to create a museum featuring the Pendle Witches story as the area attracts more visitors in the lead-up to the 400th anniversary of the trials. CALLS have been made to create a museum featuring the Pendle Witches story as the area attracts more visitors in the lead-up to the 400th anniversary of the trials. Tour guide, storyteller and expert Simon Entwistle believes the focal point of a museum would leave a legacy after the wide-ranging commemoration of 1612 has finished. Mr Entwistle said that at the moment the prospect was just an idea and faced many obstacles. “Obviously this project would cost a lot of money and right now councils have had to tighten their belts,” he said.